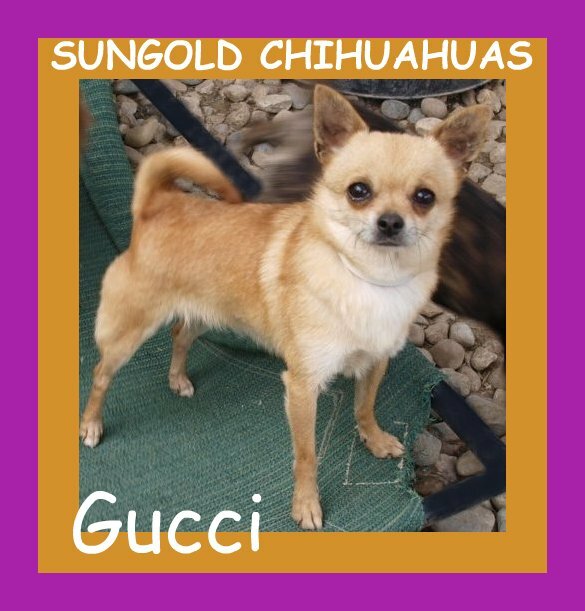 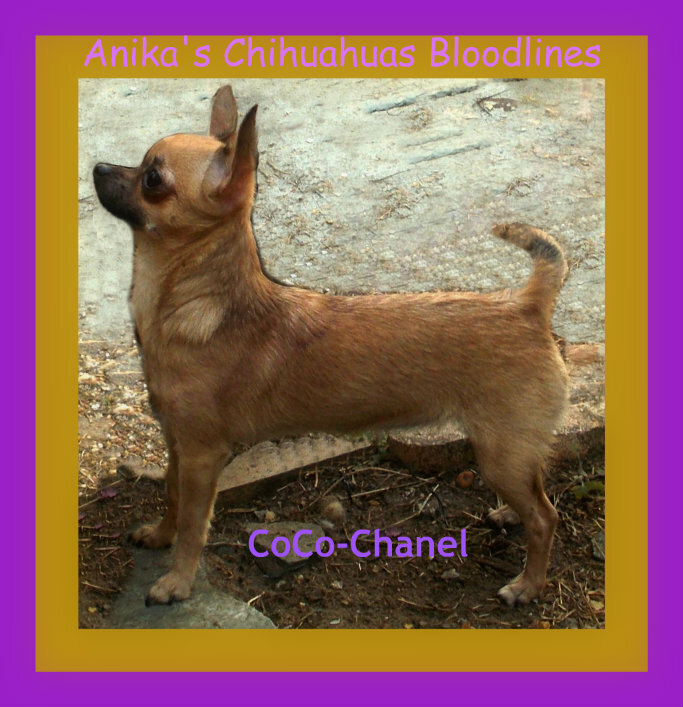 Ch-Anika_s-Feliz-Magic-Aristocrat looked alot like "GUCCI" does, very small and loveable. 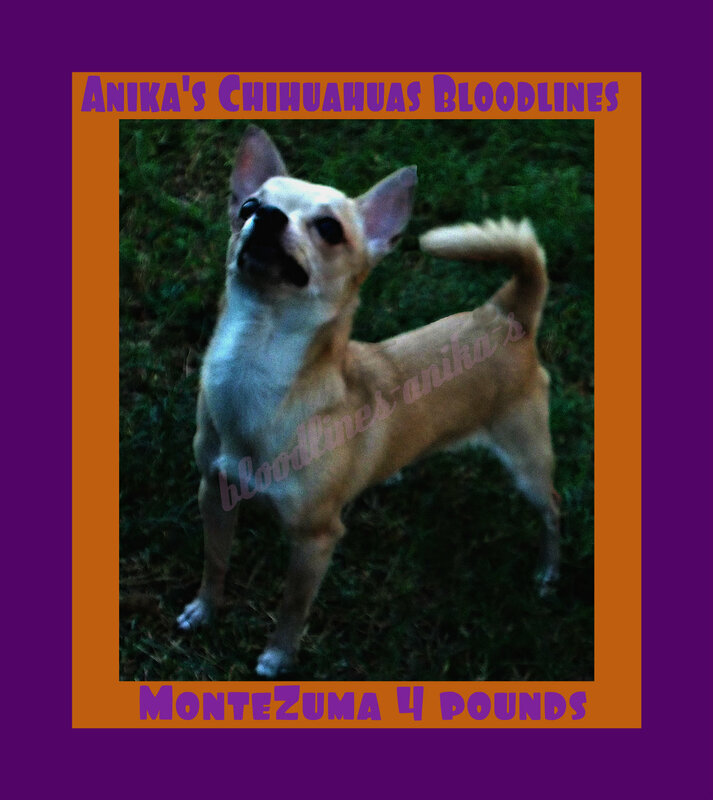 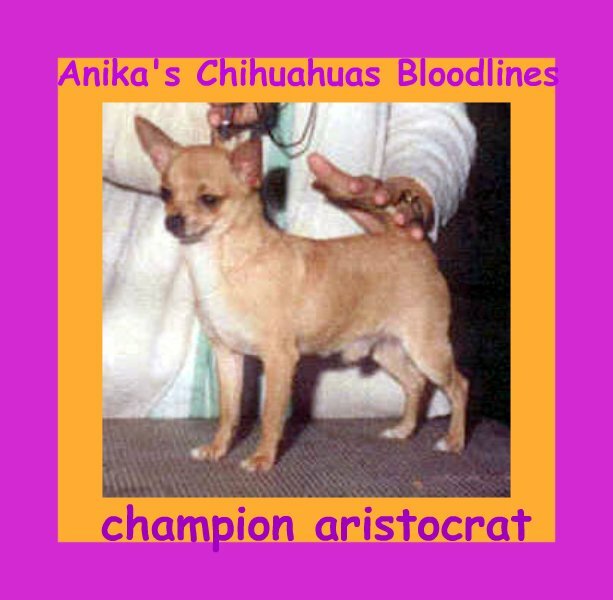 Ch-Aristocrat was a tiny and correct 3 lb specialty winning Chihuahua dog and top sire in the anika's chihuahuas bloodlines for the nineties. 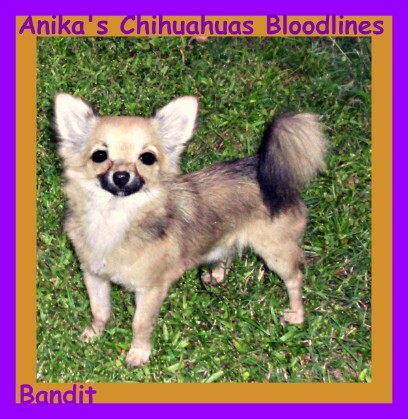 Bandit is our newest ANIKAS show prospect. 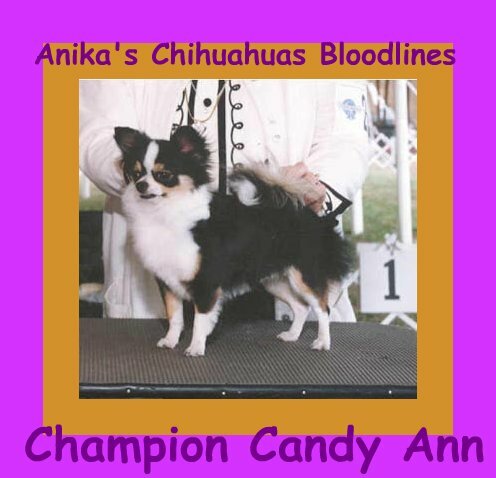 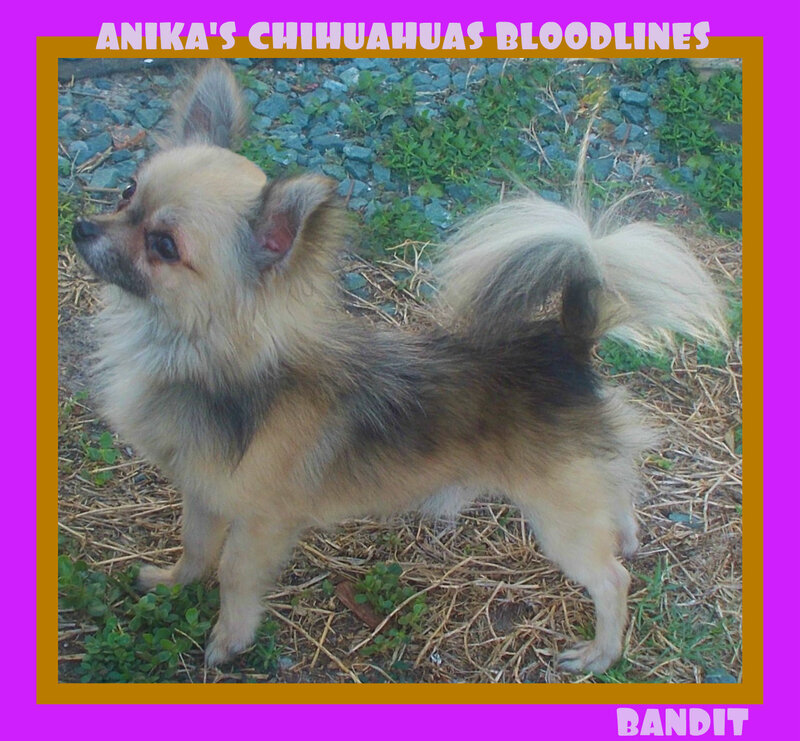 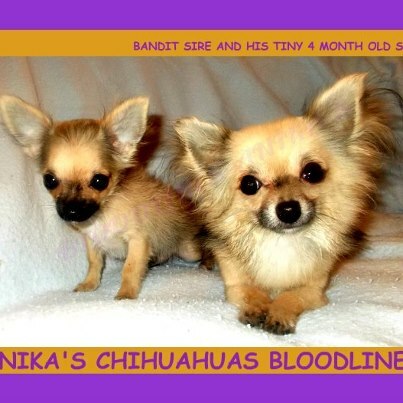 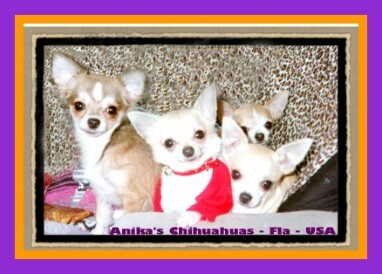 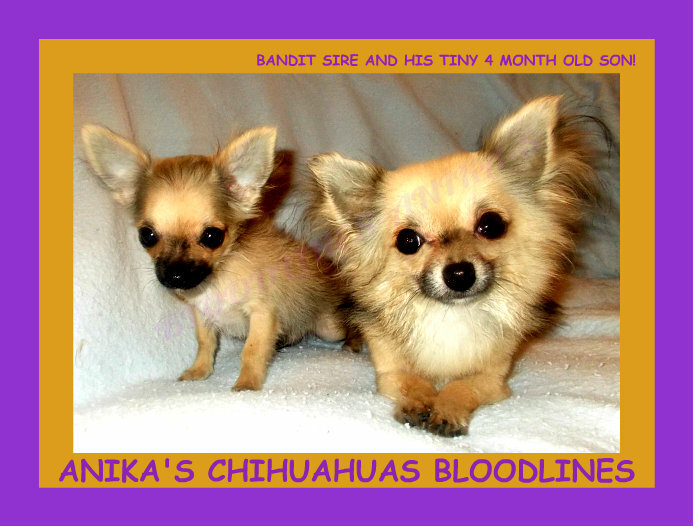 Watch for our Bandit ~out of Anikas Champion Chihuahuas Bloodlines,~ weighs 2.5 pounds at maturity, considered a teacup-size by most show standards and has excellent gait, rear front and bite. 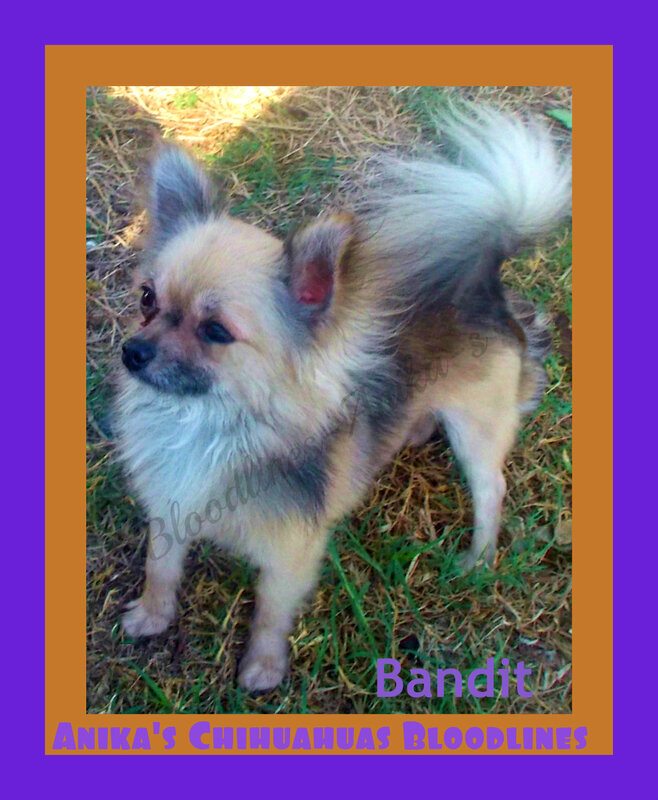 Bandit's personality :showy & has attitude!